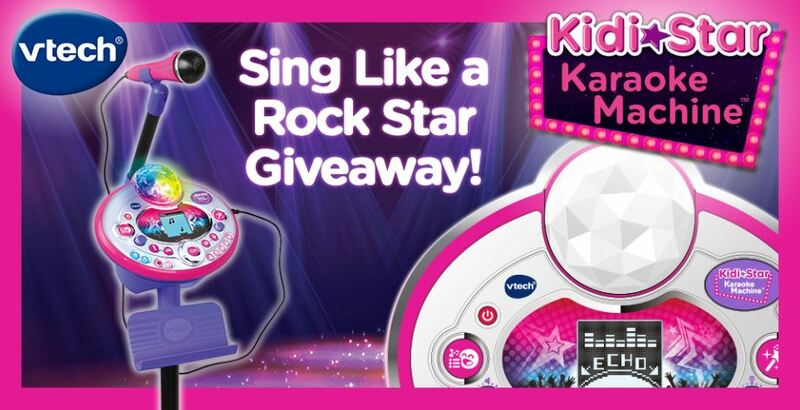 Enter the new VTech Sing Like a Rockstar Contest to get a chance to win a Kidi Star Karaoke Machine. This contest is open only to legal residents of Canada who are at least eighteen years old. To enter you have to visit the official contest web page and complete the entry form with all the required details including name, last name, city, province, email address, date of birth, country and your Twitter Handle, agree to the terms & conditions and submit it. Contest closes on Monday October 8, 2018 at 11:59 pm PST. Winner will be selected randomly from all valid entries. There is one prize available to be won, it consists of One Kidi Star Karaoke Machine. The VTech Sing Like a Rockstar Contest begins on Wednesday, September 26, 2018 at approximately 9:00 a.m. PST and ends on Monday October 8, 2018 at 11:59 p.m. PST. The draw will take place within one week after entries close. Winner will be notified via email.